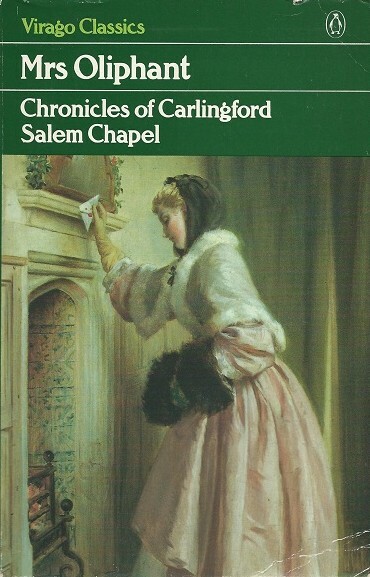 This is my least favorite of The Carlingford Chronicles, for all the reasons that you mentioned. I found Arthur's mother so tiresome, particularly her obsession with clean white linen. I didn't realize it was one of the more successful though! It certainly surprised me that the tone changed so much. I've read a couple of the other Carlingfords & have the last two on the tbr shelves so I'll look forward to reading those. Mrs Vincent was so OTT! I've always wanted to read her. And Anglophile Books!! I used to look at their site years and years ago and forgot all about them...till now. It's no wonder that they like your blog (and Claire's)! I've enjoyed her other books & her short stories are very good, often with supernatural or Gothic elements but domestic at the same time. Anglophile Books is full of tempting treasures & I like to promote an independent bookstore.